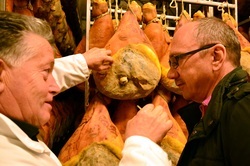 PARMA & CINQUE TERRE - Learn to COOK & MEET new international friends! A customised, exclusive, friendly Gourmet Tour to enjoy Italian wonders: just fly to Milano Malpensa & we arrange a magnificent guided tour by our private minibus with your personal chef, with home delivery to Prague of all your purchases ! 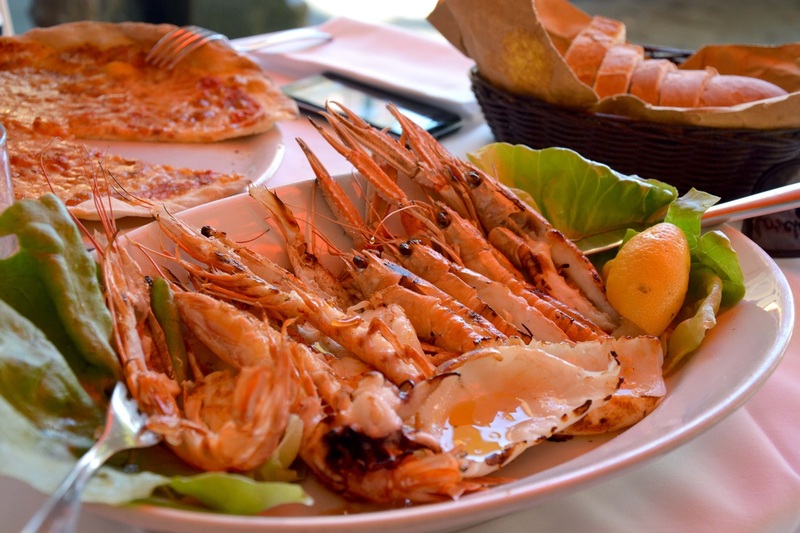 Transfer towards Parma, home of many flagships of the classics of Italian cuisine. Along the way we will stop in the historic center of Piacenza and enjoy a proper "welcome to Italy": an exclusive lunch with grilled meat in a renowned butcher shop paired with “Gutturnio” DOC wine. 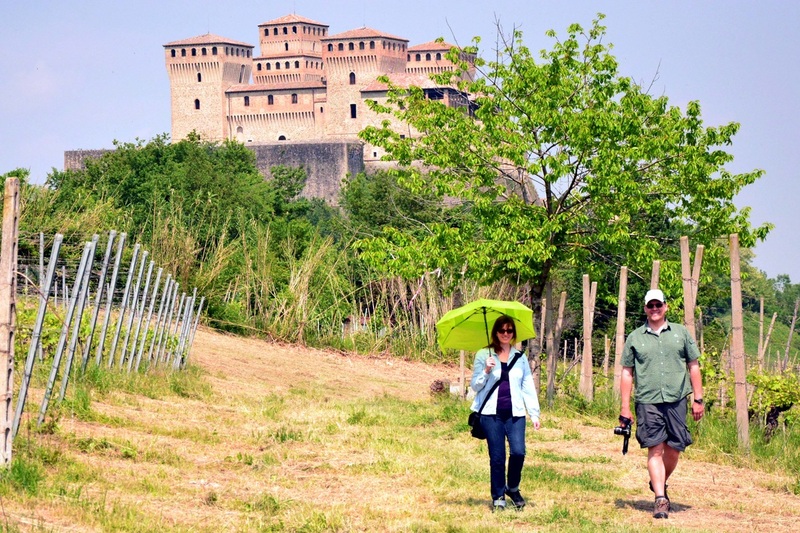 Afterwards, a “digestive walk” exploring the magnificent medieval fortress of Castell´Arquato, set of many movie productions. Transfer to our accommodation, a charming 16th century tower transformed into a cosy, family-run agriturismo B&B. Traditional dinner to savor a rich selection of home-made traditional dishes like "tortelli alle erbe" and roast beef accompanied by a selection of the DOC locally produced wines. 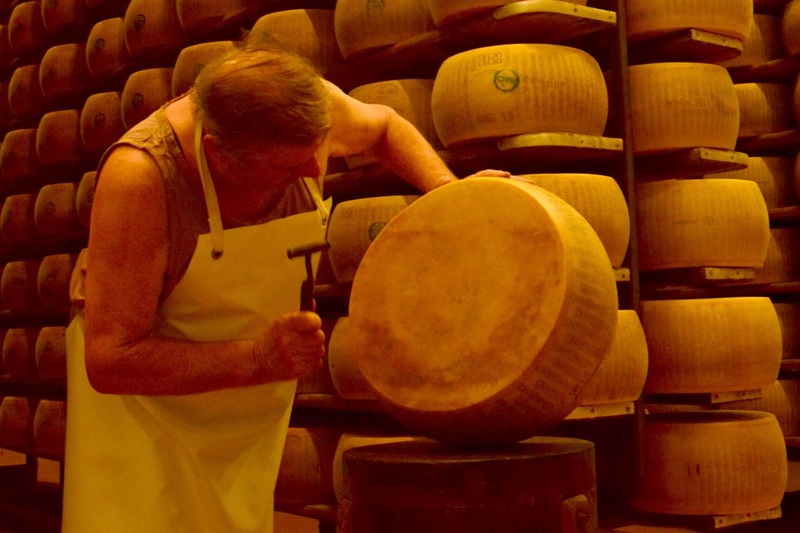 After a rich breakfast, private visit of a production site of the famous Parmigiano Reggiano to discover its traditions and techniques, a real unique experience in a temple of Italian taste. We will continue our culinary adventure with the visit to a traditional producer of Prosciutto di Parma with tasting of local delights like salame Felino and culatello. Tasting dinner at a local family-run restaurant to continue the discovery of the seasonal dishes which made Emilia Romagna cuisine popular worldwide. 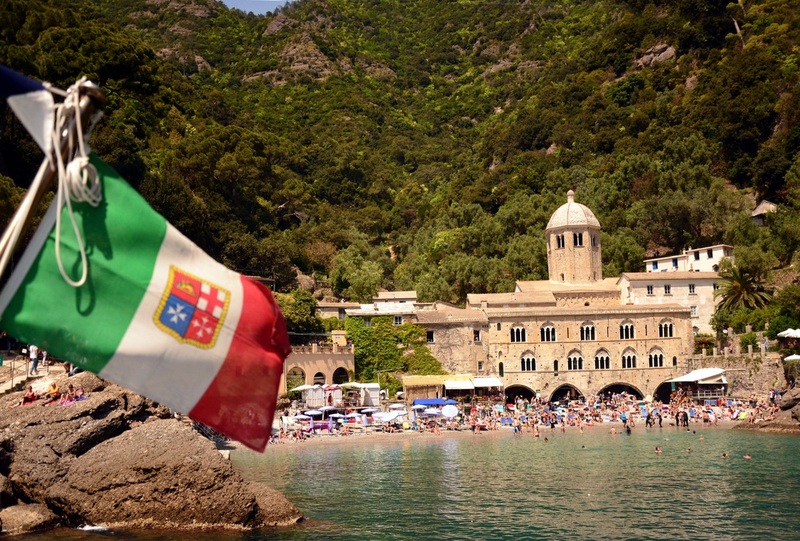 After breakfast, transfer to the coast across the scenic landscapes of the Appennine mountain range to La Spezia, from where we will take the local train towards the five world-famous fishing villages named “Cinque Terre". Since cars are not allowed in the protected area of the Maritime Natural Park, we will discover these stunning landscapes and the scenic villages of Manarola, Corniglia, Vernazza and Riomaggiore by short transfers by local trains and light hikes along natural trails under olive trees and across coastal vineyards. 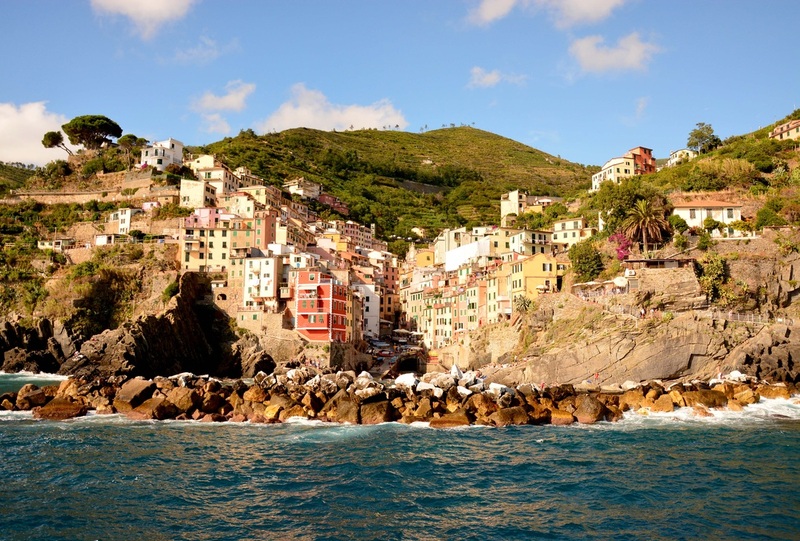 Lunch in the scenic coastal village of Manarola, our base to discover Vernazza and Riomaggiore with light hikes and enjoy a scenic boat ride to admire the Cinque Terre from their natural perspective. Accommodation in a cosy B&B in Manarola for a traditional Ligurian dinner, featuring local specialities like trofie al pesto, spaghetti with mussels, octopus, squid accompanied by the crisp local wines. According to the weather conditions, we have 2 options: visit of the picturesque seaside village of Camogli with a scenic boat ride to the secluded bay hosting the medieval San Fruttuoso Abbey, a gem of the Mediterranean sea famous for its landscape, pristine waters and traditional seaside architecture; or enjoy one more morning in Cinque Terre and shopping opportunities in Vicolungo fashion outlet on the way to Malpensa airport. Afternoon: transfer by private car to Milano Malpensa airport according to the guest´s travel schedule; we recommend CSA flight to Prague, dept. 21.15, arr. 22.45. Price per person: Euro 790 (based on a group of at least 7 participants), otherwise Euro 890 (min. 4 participants). For smaller groups: quotation upon agreement. 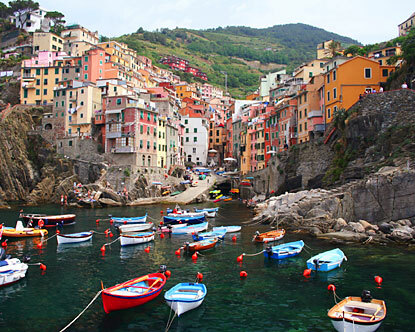 Boat trip to admire Cinque Terre scenic landscape from the sea. Home delivery to Prague of the goods purchased by the group during the tour.